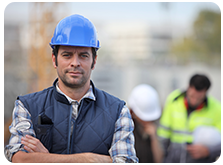 Feel secure when you wear the high-quality outdoor and work apparel from JUS-Workwear in San Diego, California. We offer Carhartt™ work pants, shorts, vests, jackets, coats and shirts. Well-designed and built to last, our items can be worn for work or casually. The most popular jacket we carry is the Duck Detroit Jacket (J001), which comes at $61.99 for regular sizes. We also offer big and tall sizes for $66.99. As for our other jackets, prices range from $45.00-$150.00. Priced from $35.00-$65.00, our camouflage vests are perfect for hunters and outdoor lovers. Our most popular item is the (V01) Duck Vest which costs $54.99. Our big and tall sizes cost $59.99. Our most popular coat is the (B61) Ridge Coat, which has a soft and luxurious Sherpa lining. Regular sizes are available for only $109.99, and the big and tall sizes are priced at $119.99. Longer than jackets, our coats range from $75.00-$175.00. Since we are located in South California, we offer more shorts than pants. Priced at $29.99, our (B147) Canvas Work Shorts are the most sought-after by customers. We also offer other types of shorts from $24.99-$39.99. For a comfortable pair of work pants, turn to us. Our prices for work pants range from $32.99-$49.99. The most popular pants we have are the (V01) Firm Duck Double-Front Work Dungaree, which is priced at $44.99. Available for only $16.99, our Workwear Pocket Short Sleeve Shirt is one of our most popular items. We also offer other shirts at $16.99. Shirt jackets, on the other hand, are priced at $55.00. Since we get items from Carhartt™, our products are guaranteed free from defect. Items may be returned within 30 days for in-store credit as long as the tags are still attached and the clothing is unworn.